Due to the unique nature of each project, I won’t be able to quote a firm price without some preliminary discussion. However, my hourly rates for individuals begin at $60 an hour and all projects have a minimum fee of $60. It's reasonable to expect that most projects would have a minimum cost of at least $400. However, preserving some of your priceless family history would make a wonderful gift for the entire family that would last for generations to come and only increase in value. Perhaps you might want to consider that when you plan your birthday, anniversary, and holiday gift-giving this year. All prices are US dollars. A minimum fee of $60 will be charged for all projects. For your convenience and security, Your Life & Times accepts payment online through PayPal* (from your checking or savings account or with a major credit card) or by personal or business check through the mail, or by cash, check or credit card on-site. * Establishing an account with www.paypal.com allows you to disclose your banking and credit card information only to PayPal, a secure online payment service, which in turn pays me. That means I never ask for your banking or credit card information. 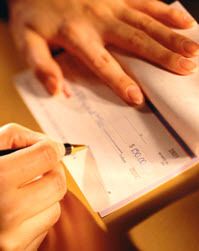 ** I begin work after deposit checks (typically 50% of the estimated total) have cleared, usually about two weeks. Payment in full is expected upon completion of the project.